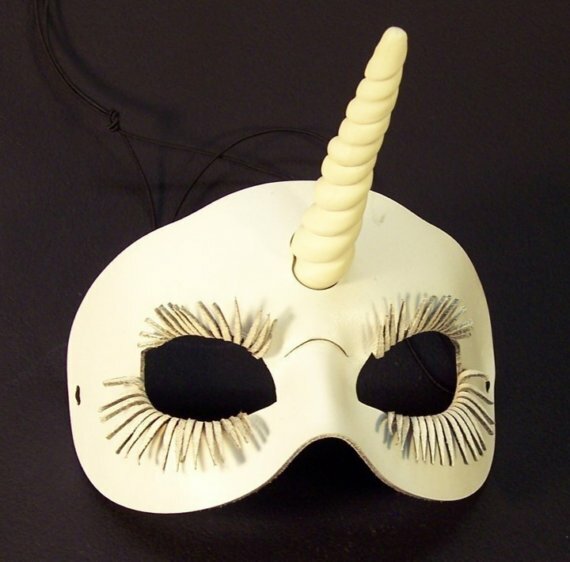 I’m currently in the process of planning a shoot with Jennifer Byron, featuring a unicorn mask by Tom Banwell. After seeing his black rabbit mask around so much over the past year or so I was quite excited at the idea of a unicorn one. I’m not totally sure how much masks suit me so I’m going to make extra effort with the rest of the outfit to make sure it looks good. When I started analysing the options I realised I didn’t know that much about unicorns and their origin so I decided to read up on them a bit. There is plenty of information online but one of the most interesting things I found was on wikipedia. Though unicorns were fist mentioned by the ancient Greeks, they are not found in Greek mythology but rather in accounts of natural history. Greek writers of natural history were convinced of the reality of the unicorn, which they located in India, a distant and fabulous realm for them. The earliest description is from Ctesias who described them as wild asses, fleet of foot, having a horn, a cubit and a half in length and colored white, red and black. Being from Greece myself I was quite suprised not to have heard this before but then again it isn’t really the kind of this they would bother teaching in school. I put together a vague board of unicorn-related inspiration but was actually surprised by how little I found that was to my taste. 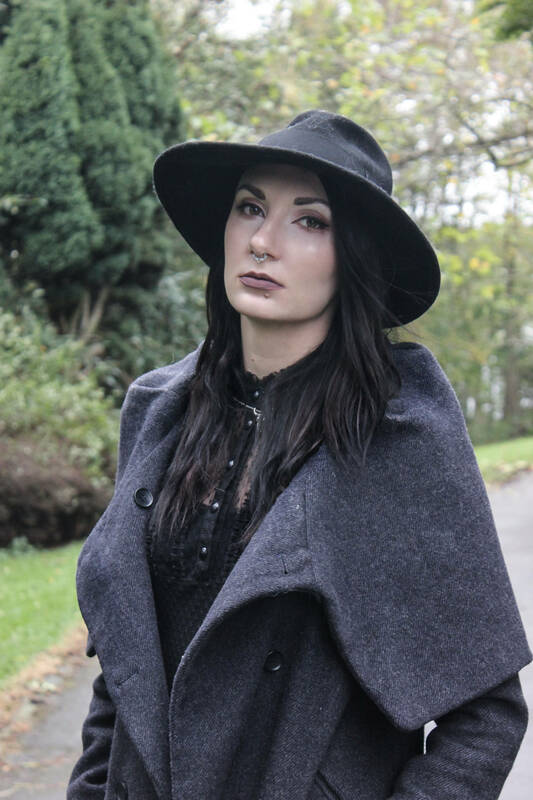 I think this shoot will be a good opportunity to create some unicorn-related imagery and accessories that aren’t overly childish or classic fantasy inspired. I would like to keep the look with the mask quite close to the original depiction of the unicorn as possible so its going to be all white but I also like the idea of the black unicorn so I may do a second, darker look that I can play around with more. 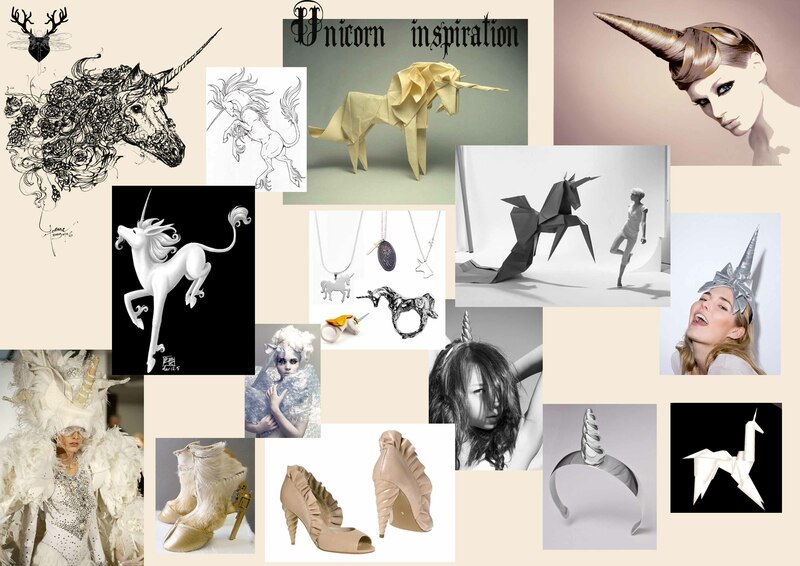 My favourite items from the moodboard are the origami unicorns, I’d love to be able to make some of these for the shoot (especially a life-size one) but I gave it a try this afternoon and actually found it quite hard. 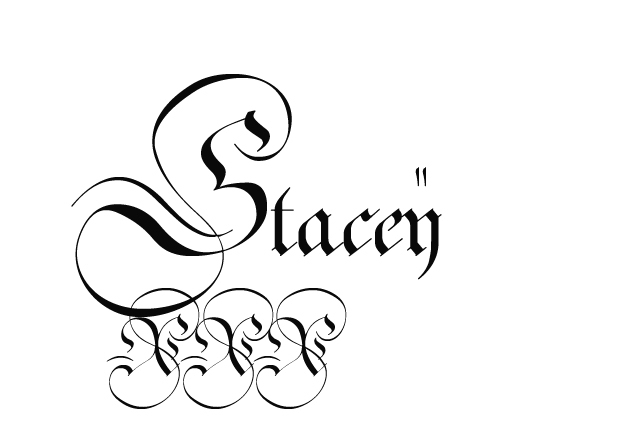 If any origami experts happen to read this, please get in touch!